The selection this year has been dubbed ‘very international’. Alfonso Cuaron’s acclaimed drama Roma and Yorgos Lanthimos period comedy-drama The Favourite have bagged ten Oscar nominations each at the 91st Annual Academy Awards – all of them in major categories. Both films have been named in at least seven same categories: Best Picture, Best Director, Best Actress in a Leading Role, Best Actress in A Supporting Role, Original Screenplay, Production Design and Cinematography. While Cuaron’s film has also secured nominations in the Best Foreign Film and Sound Mixing categories, Lanthimos’s film will compete for Best Editing and Costume Design as well. Kumail Nanjiani and Tracee Ellis Ross announced the nominations on Tuesday. The ceremony will be held in Los Angeles on February 24. Hannah Beachler became the first African-American woman nominated for an Oscar in the Production Design category, The Hollywood Reporter pointed out. She has been nominated for Black Panther. The publication also added that this year’s nominations list is “very international” and reflects “the Academy of Motion Picture Arts and Sciences’ concerted effort in recent years to welcome more international members, with more eclectic tastes, into its ranks”. Among the big Oscar favourites this year, Adam McKay’s American biographical drama Vice and Bradley Cooper’s A Star Is Born earned eight nods each, while Ryan Coogler’s Black Panther got seven nominations. Barring Best Picture, all the six nominations that Black Panther received are in the technical categories: Costume Design, Sound Editing, Sound Mixing, Production Design, Original Song and Original Score. 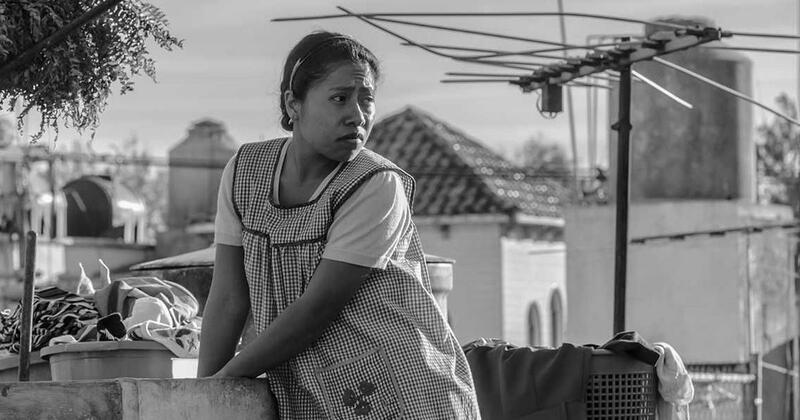 There are eight films vying for the Best Picture award this year: Roma, The Favourite, Vice, A Star Is Born, Black Panther, Peter Farelly’s Green Book, Spike Lee’s BlacKkKlansman and Bryan Singer’s Bohemian Rhapsody. Paweł Pawlikowski earned a nomination in the Best Director category alongside Lee, Lanthimos, Cuaron and McKay. 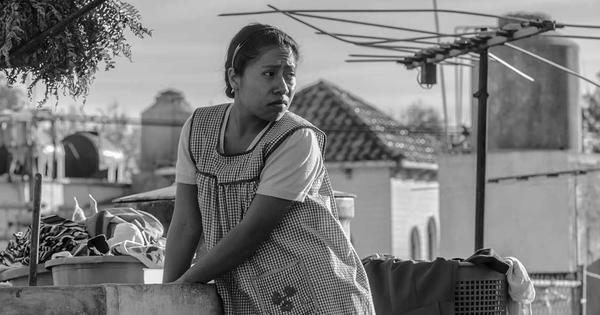 The Best Actor and Actress nomination lists mostly feature names from films chosen in other categories: Yalitza Aparicio for Roma, Olivia Colman for The Favourite, Lady Gaga for A Star Is Born, Christian Bale for Vice, Bradley Cooper, for Star Is Born and Rami Malek for Bohemian Rhapsody. The only new names are Willem Defoe for Julain Schnabel’s Vincent Van Gogh biographical drama At Eternity’s Gate, Glenn Close for Bjorn Runge’s The Wife and Melissa McCarthy for Marielle Heller’s Can You Ever Forgive Me. Regina King was nominated in the Best Supporting Actress category for Barry Jenkins’s If Beale Street Could Talk. She is vying for the title against Amy Adams for Vice, Marina de Tavira for Roma, and Emma Stone and Rachel Weisz for The Favourite. The nominations for the Best Actor in a Supporting Role are Mahershala Ali (Green Book), Adam Driver (BlacKkKlansman), Sam Elliott (A Star Is Born), Richard E. Grant (Can You Ever Forgive Me?) and Sam Rockwell (Vice). Paul Schrader (First Reformed) received a nomination in the Original Screenplay category alongside other names: Deborah Davis and Tony McNamara (The Favourite), Nick Vallelonga, Brian Currie and Peter Farrelly (Green Book), Alfonso Cuaron (Roma) and Adam McKay (Vice). In the cinematography category, Łukasz Zal (Cold War) and Caleb Deschanel (Never Look Away) – both from films nominated in the Foreign Film category – will compete against Robbie Ryan (The Favourite), Alfonso Cuaron (Roma) and Matthew Libatique (A Star Is Born). The category with the least number of nominations is Makeup and Hairstyling. Three films – Ali Abbas’s Swedish fantasy film Border, Josie Rourke’s Mary Queen of Scots, and Vice will compete for the prize. Mary Queen of Scots also received a nomination for Costume Design. Mary Queen of Scots (2018). Avengers: Infinity War (2018), Christopher Robin (2018), Ready Player One (2018) and Solo: A Star Wars Story (2018) each received a nomination in the Visual Effects category. The nominations in the Documentary Feature went to Free Solo, Hale County This Morning, This Evening, Minding the Gap, Of Fathers and Sons and RBG. The Animated Feature Film category offered little surprises. The nominees are Incredibles 2, Isle of Dogs, Ralph Breaks The Internet, Spider-Man: Into the Spider-Verse and Mirai. Apart from Roma, the Foreign Language Film nominations list comprise Nadine Labaki’s Capernaum (Lebanon), Pawel Pawlikowski’s Cold War (Poland), Florian Henckel von Donnersmarck’s Never Look Away (Germany) and Hirokazu Kore-eda’s Shoplifters (Japan). The ones that did not make it to the final five from the shortlist include Birds of Passage (Colombia), The Guilty (Denmark), Ayka (Kazakhstan) and Burning (South Korea).